Create a comprehensive social media strategy for GoGreen brand awareness and reach. Create custom, multi-channel ad campaigns to promote company growth and generate sales from existing & new demographics. Identify best practices in the HVAC industry & integrate the GoGreen brand in creating an ongoing social media strategy that spans all platforms. Identify & optimize for growth opportunities through social channels. Build custom ad campaigns to promote the GoGreen brand & growth into new markets. From our family to yours, we welcome you to experience the customer-focused team at Go Green Heating and Cooling, the premier Austin AC Company since 2010. 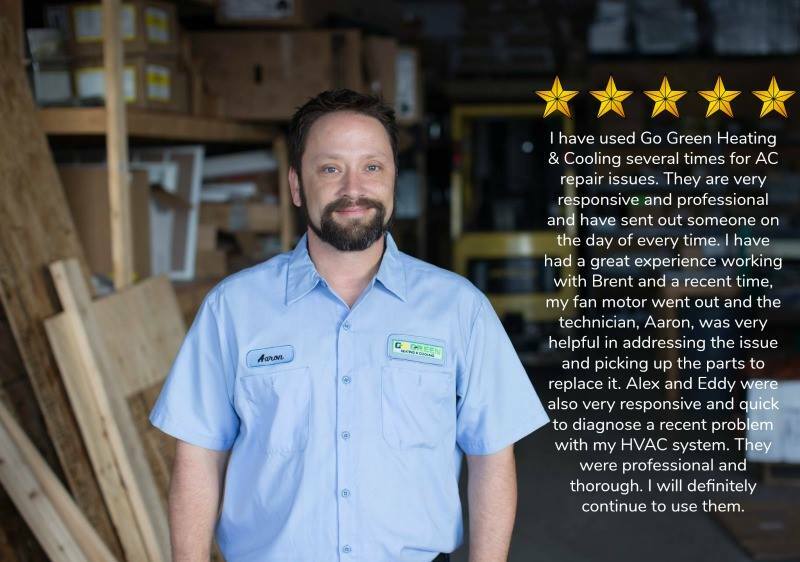 Go Green Heating and Cooling is owned and operated by Brent Merchant, a third-generation HVAC professional, with more than 20 years of experience in the business. He has built a team of the most skilled and dedicated technicians in Austin. Go Green Heating and Cooling has only one goal in mind: to offer the best HVAC option in Austin.